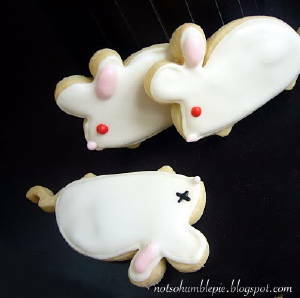 Sciblogs | Scientific baking. Great for those lab meetings or kids' parties. Scientific baking. Great for those lab meetings or kids' parties. 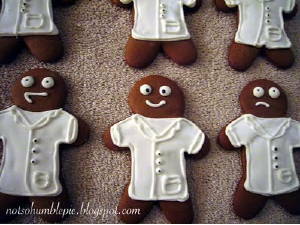 Maybe to kick off the first meeting of your research team or department for the year, you could try a little thematic baking? 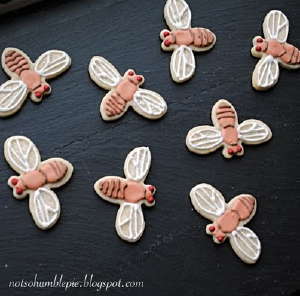 These are biology-themed, but I’m sure my talented readers can come up with bakery that suits their own disciplines. Not so humble pie opens the challenge with atomistic cookies. Not so humble pie is onto something here… There are plenty more if you search for “biology cookie” at her site. 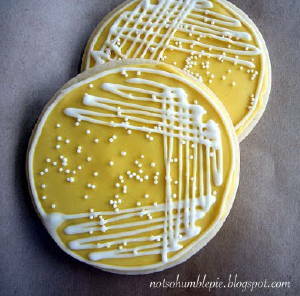 She’s even got a scientific cookie roundup, which showcases the efforts of others (just published yesterday). If you think you can out-do these, send me a picture and I’ll feature it! 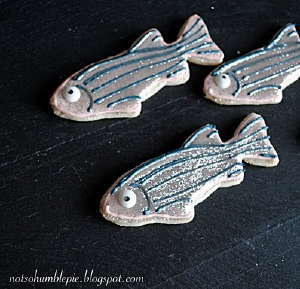 Get baking… your colleagues (or kids) will thank you. PS: Not so humble pie has some serious food too. Check that out too. You must have seen the Large Hadron Collider cake, Grant?? Reminds me of a little book I used to use in an earlier incarnation as a science/chemistry teacher called “Science Experiments You Can Eat”. The kids used to enjoy cooking up edibles out of chemicals (with all the attendant “yuck – hey that’s not bad” – probably wouldn’t be permissible now. If you can’t get enough there are some stunning examples in this collection from the Guardian newspaper (UK). Check out the horrific necrotizing fasciitis cake. That may be a little too realistic! The 3-D cell cake is pretty neat, too.